The four lunar sites on Mull follow. 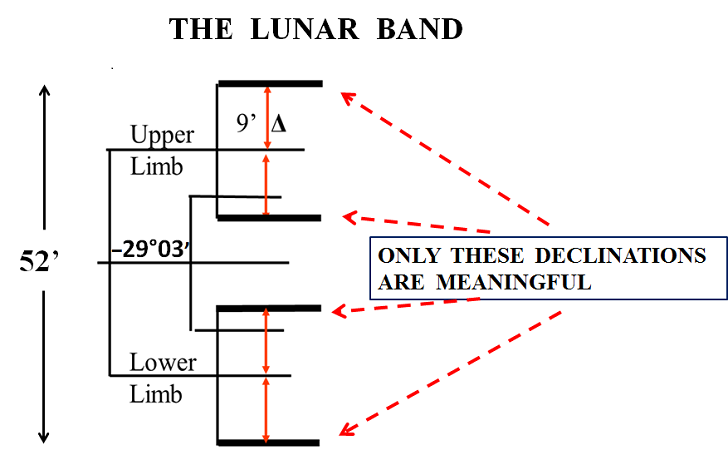 It is necessary to understand the effect on the lunar declination of the 9' arc 'perturbation' or 'wobble' at the 'Standstills'. As a result at each standstill (±29º 03′, and ±18º 45′.5 ) there are four declinations which are meaningful.